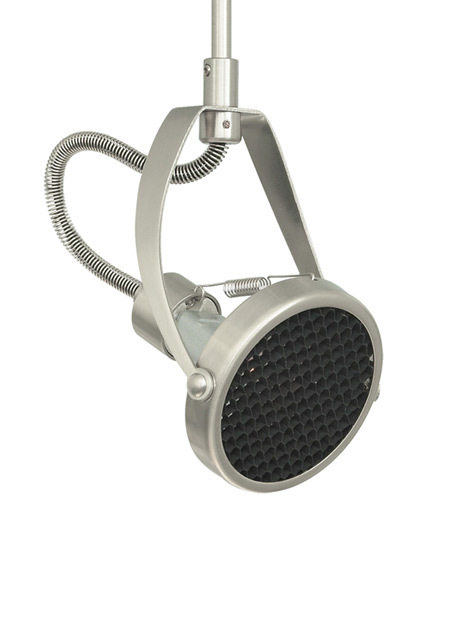 The Sportster display head by Tech Lighting is simple in design but extremely functional, featuring a minimal stylish head that rotates 360° and pivots 180°. The Sportster converges with MR16 lamping (sold separately) and is fully dimmable to create the desired ambiance in your unique space. This customizable display head is available in the contemporary satin nickel finish and six distinct stem lengths allowing for optimal length customization. Enhance the Sportster all the more by combining it with a Tech Lighting rail system or glare-free accessories (sold separately). This low-voltage display head is ideal for commercial lighting applications such as retail stores, libraries and galleries. Eggcrate louver included. Low-voltage, MR16 lamp of up to 50 watts (not included).